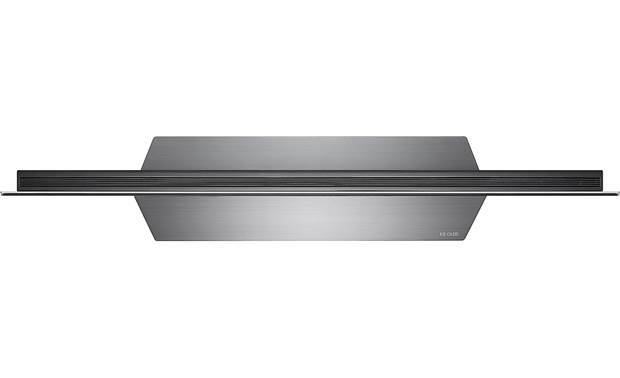 LG's 55" OLED55E8PUA will make you stop and stare whether the TV is on or off. 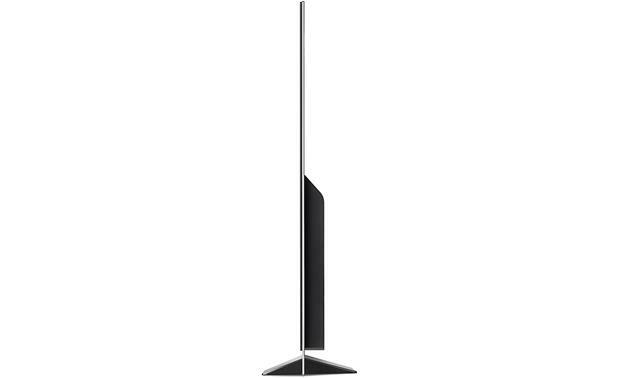 LG's 55" OLED55E8PUA will make you stop and stare whether the TV is on or off. 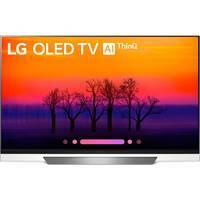 It delivers the same eye-popping picture as LG's OLED55C8P, but has a more potent speaker system, and features LG's elegantly thin "Picture-on-Glass" design. 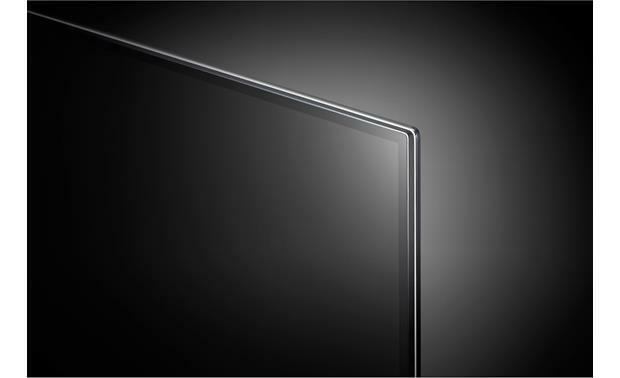 With Picture-on-Glass, the OLED module is applied directly to the glass back panel, for a clean, ultra-slim profile. And compared to last year's E7P model, the '55E8PUA has more powerful video processing, plus some advanced smart TV conveniences. The OLED55E8PUA also delivers brilliant colors, covering nearly 100% of the P3 color format used for digital cinema and HDR movies. Colors pop, and thanks to the OLED55E8PUA's impressive peak brightness and advanced anti-glare screen coating, you'll see a vivid picture even in bright rooms. And if you like to watch TV with family or friends, you won't mind giving up the center seat — OLED images maintain exceptional contrast and color even for viewers seated off to the sides. 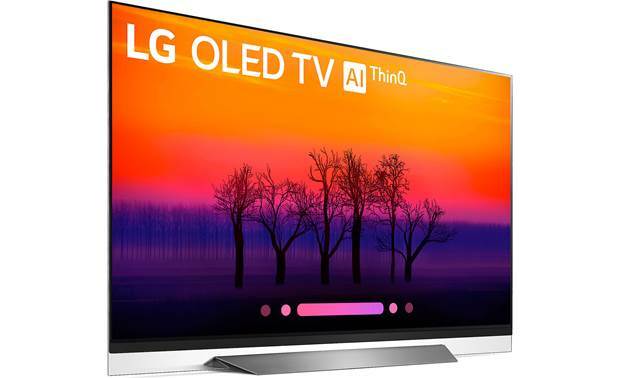 One of the OLED55E8PUA's key improvements over LG's 2017 models is the new Alpha 9 Intelligent Processor. It reduces noise, and constantly monitors and corrects color and contrast. But its most noticeable improvement relates to motion processing. 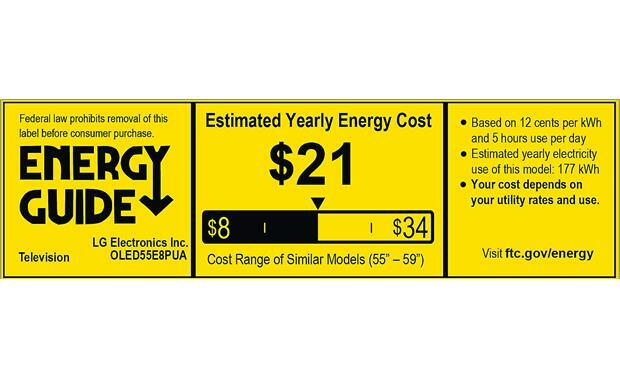 The OLED55E8PUA gives you the ability to remove judder without adding the artificial-looking "soap opera effect." 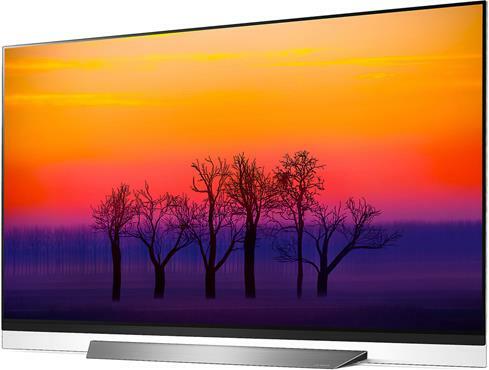 The OLED55E8PUA not only supports the required HDR10 format, but also the more sophisticated Dolby Vision™ format, which is a dynamic system that is able to adjust brightness and color levels in response to the video signal on a scene-by-scene basis. LG's Active HDR circuitry analyzes and optimizes HDR10 content scene by scene, bringing it closer to what Dolby Vision achieves. The '55E8PUA's built-in web apps give you instant access to a nearly limitless selection of entertainment including streamed video from services like Netflix, YouTube, and Hulu. 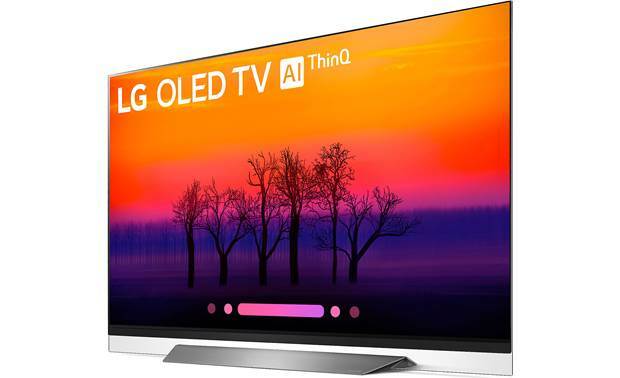 LG's AI ThinQ® intelligent voice control can process hundreds of voice commands. 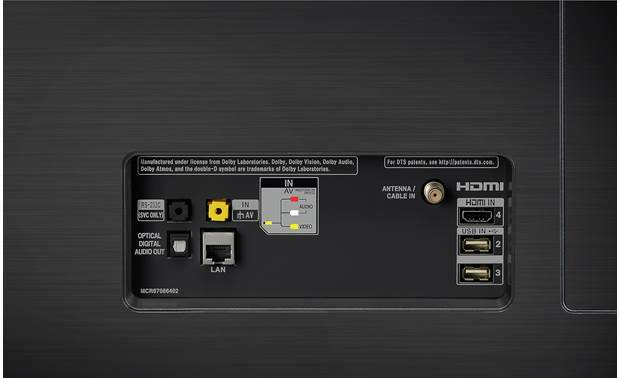 Just speak directly into the Magic Remote's mic to operate the TV as well as a variety of compatible smart devices. 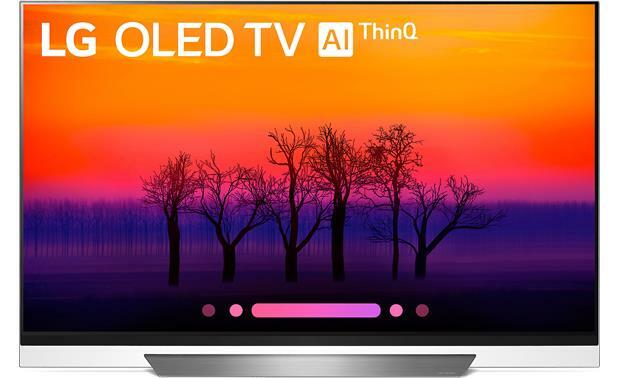 This TV is also compatible with Google Home and Amazon Alexa voice control assistants. The tv that you have always wanted is right here. 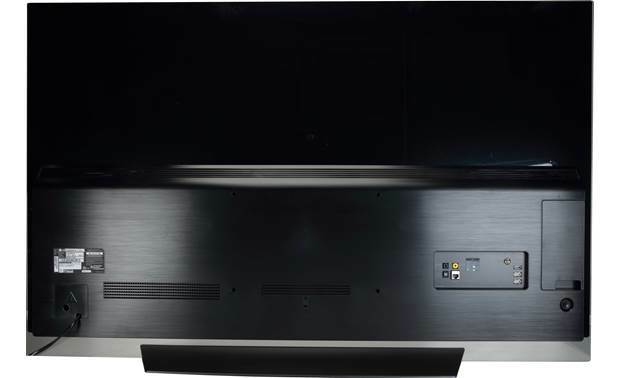 Pedestal Stand: The TV is shipped with the pedestal stand unattached; assembly is required using the supplied hardware. 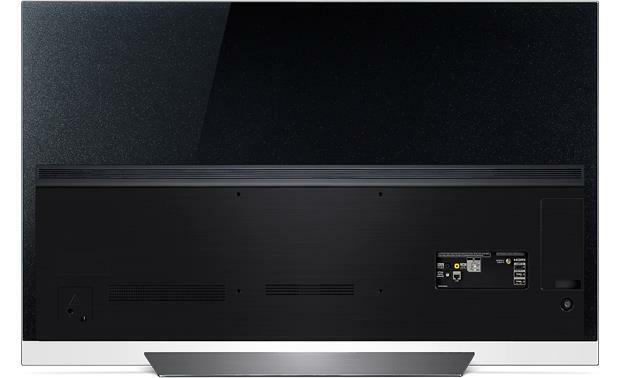 The television weighs 52.4 lbs with the stand. The TV does not swivel. 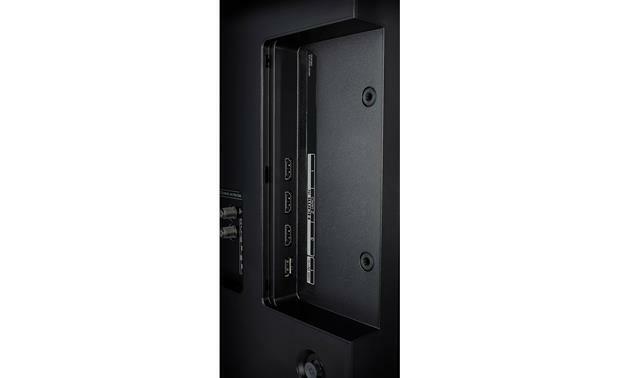 Wall Mounting: The TV has four threaded inserts on the back for use with an optional wall-mount bracket. The spacing of the mounting holes is 300mm (h) x 200mm (v). The threaded inserts require 6mm machine screws (not supplied). 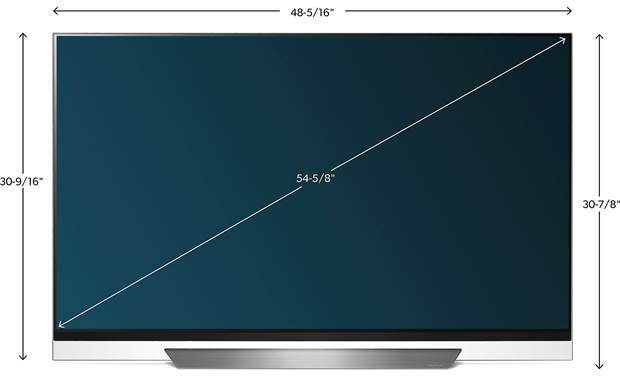 The television weighs 45.1 lbs without the stand.